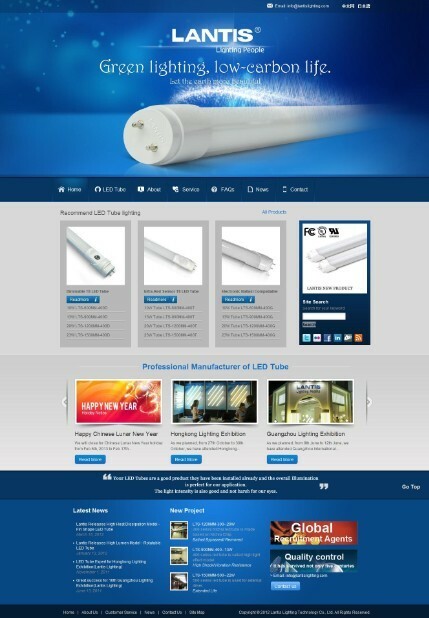 Shenzhen Lantis Lighting Technology Co., Ltd. is a high-tech enterprise which is specialized in developing, producing and marketing of indoor LED tube. Our products have been highly approved by customers from Europe, Japan and Australia for their excellent quality. Nowadays the world environment is getting worse and worse due to the greenhouse effect. Since everybody has his Carbon Footprint in daily life, they should have their duty to fight against the Carbon Dioxide increasing and try to cut down their carbon footprint to protect our earth.